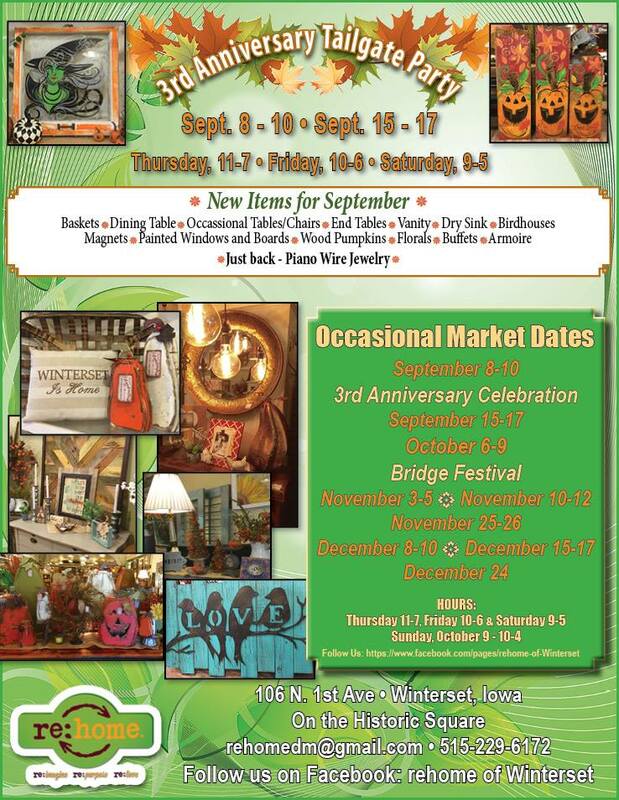 It may be gray and rainy out there today, but the weather forecast looks beautifully cooperative for all that’s going in Winterset this Saturday and Sunday. 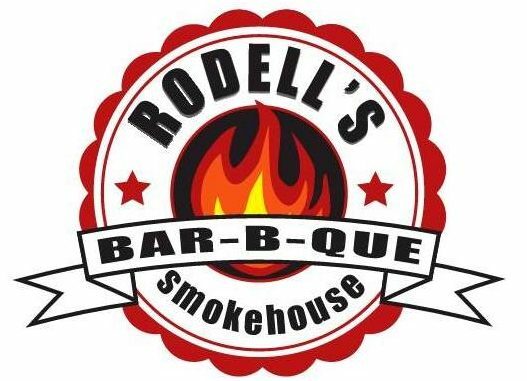 See for yourself right here! 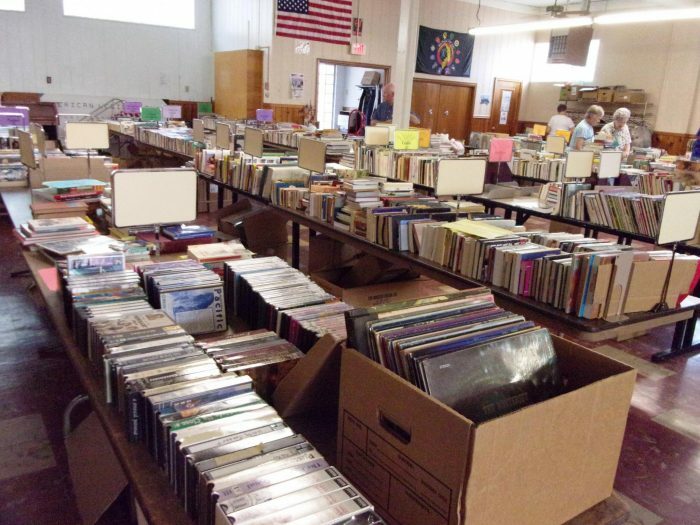 Happening right now through Saturday at 3:00, the Friends of the Winterset Public Library are hosting their annual book sale at the American Legion Hall. 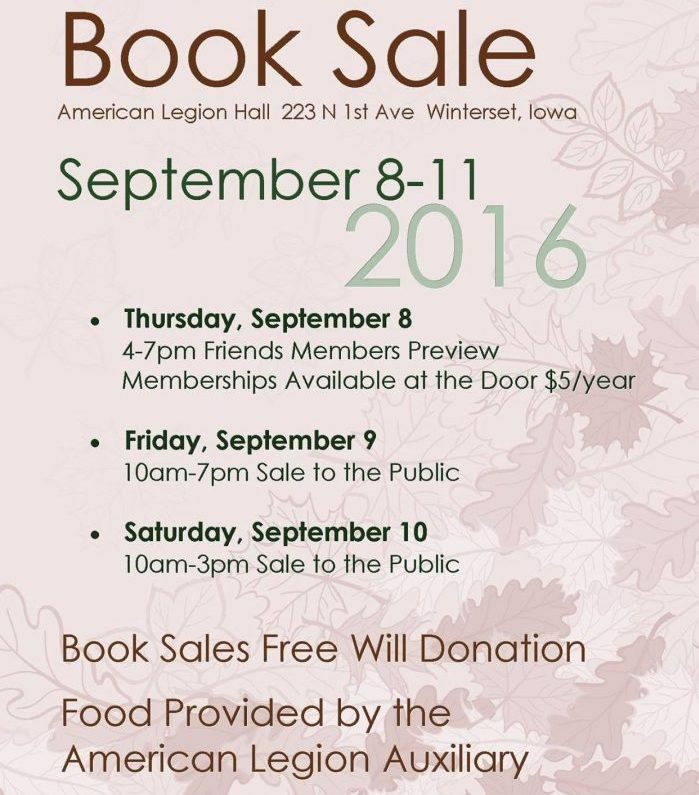 The American Legion Auxiliary will be serving sandwiches and goodies during the sale. Prices are excellent (free-will donation!). No boxes or scanners allowed, and shopping bags will be provided. Proceeds go to the Library for the purchase of new materials. Win-win! Re:home is open this weekend through Saturday, and again next weekend too. Check out all the new fall items included in their 3rd Anniversary Tailgate Party! You can see lots of photos on their Facebook page. 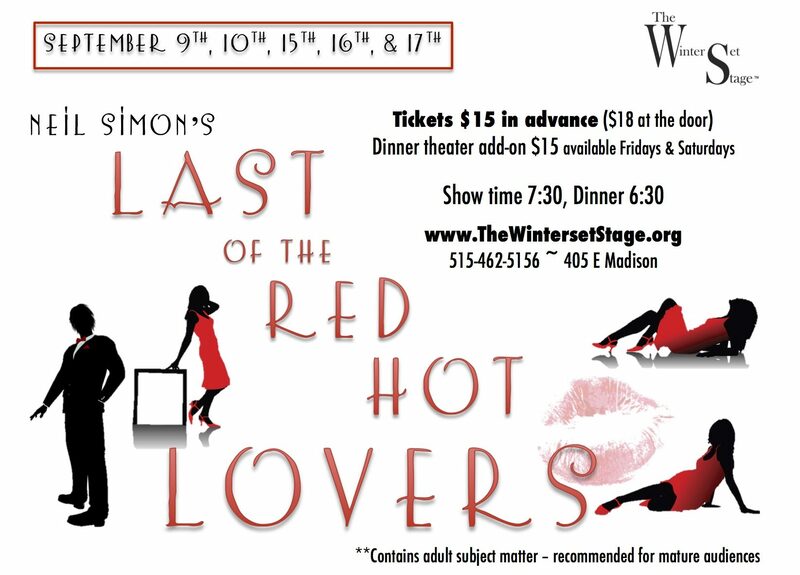 A new show is opening Friday at The Winterset Stage: Neil Simon’s “Last of the Red Hot Lovers!” Middle-aged and married, overworked and overweight, Barney Cashman wants to join the sexual revolution before it’s too late and arranges three seductions: the first, Elaine Navazio proves to be a foul-mouthed bundle of neuroses; Bobbi Michele is next, a 20-ish actress who’s too kooky by half; finally comes September and Jeanette Fisher, a gloomy, depressed housewife who happens to be married to Barney’s best friend. The show contains some adult-themed content and is recommended for mature audiences. It stars Jon Barrett, Heidi Bibler, Summer Hansen and Meredith McKay, and is directed by James Serpento. Additional performance dates are listed below. 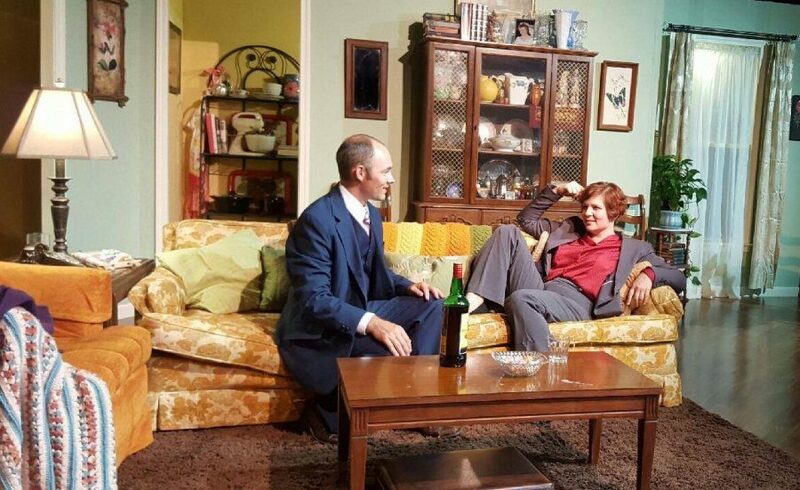 Take a look at this amazing set for “Last of the Red Hot Lovers” opening tonight at The Winterset Stage! 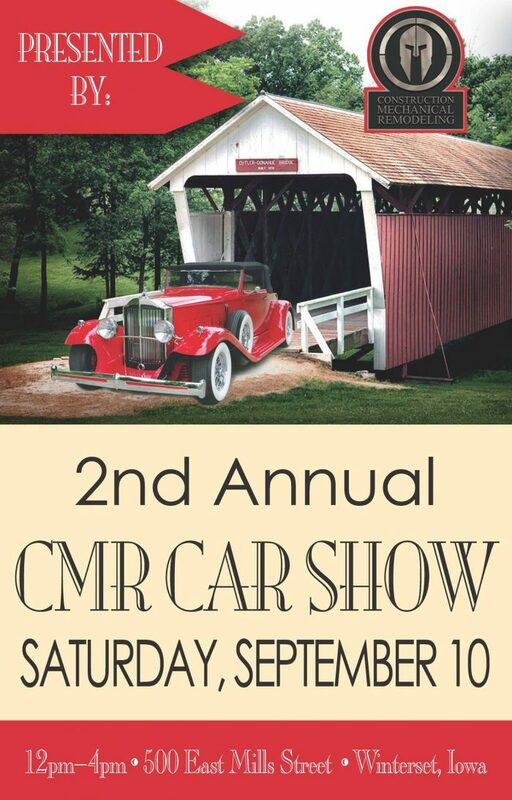 Our friends in Truro are having their Fall Festival this Saturday, the 10th. 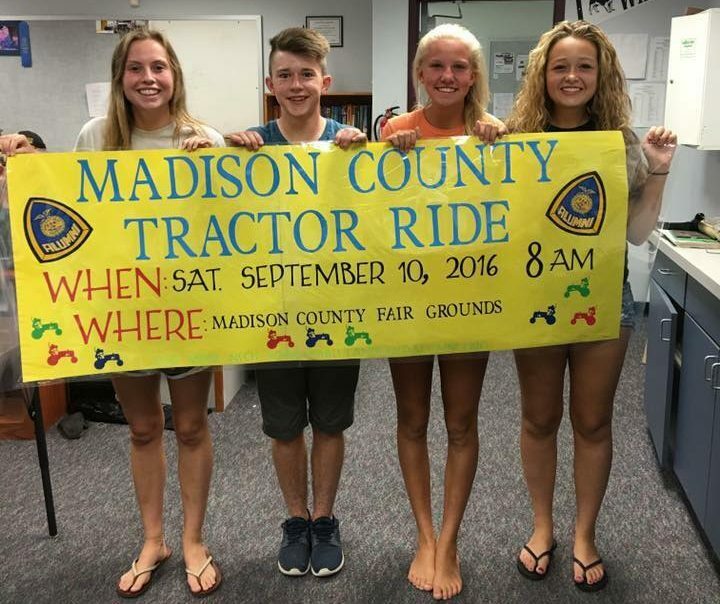 This will include food and vendors, kids games and rides (laser tag from 2 to 8:00 pm), a kids’ pedal tractor pull (1pm sign-up), barbecue/smoking contest and dinner at 5:00, Iowa/Iowa State tailgate in the park, a homemade pie auction, live music by Jeremy Donohue at noon, a karaoke contest with prizes (3pm sign-up), bag toss competition (4pm sign-up), and John McCuddin & the Waymore Blues Band after the football game. 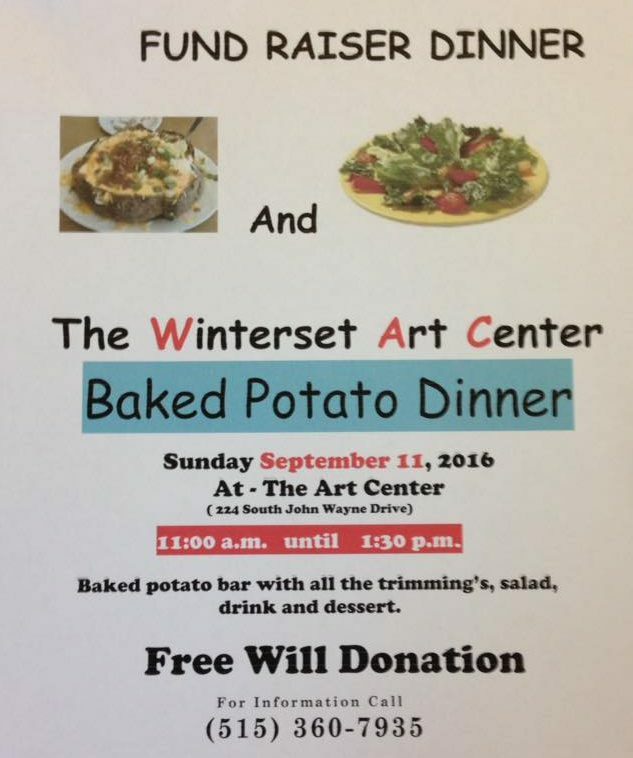 The Winterset Art Center is hosting their annual fall Baked Potato Dinner Fundraiser on Sunday, September 11th from 11:00 am to 1:30 pm. Artists Amy Maiers, Gina Crow and Sandra Geronimo will be in Studio A during the event with all sorts of fun activities for kids to do. This is a great opportunity to sign up for a 2017 membership to the Art Center, because you can get the remainder of 2016 as a bonus! 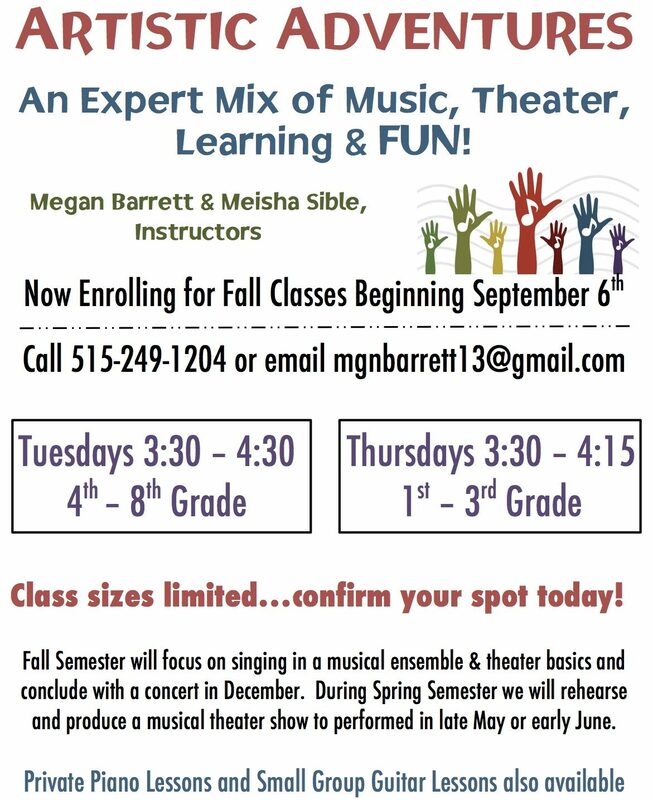 Fall classes have begun, but Megan Barrett and Meisha Sible are still accepting registrations for 1st-8th grade students to participate in Artistic Adventures for the fall semester. Click here for a registration form, or visit their website at www.HaveArtisticAdventures.com for more information. 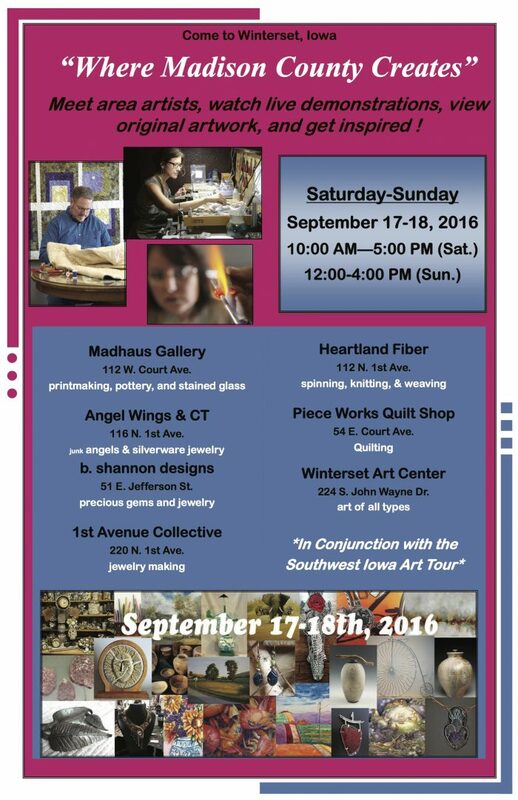 Next weekend is a great opportunity to visit the creative spaces of several of our local artists, and learn some techniques yourself. Where Madison County Creates is a two-day, self-paced tour of seven locations where you can meet area artists, watch live demonstrations, view original artwork, and be inspired. You don’t have to register to participate, but the first 100 people who do register will receive a free gift bag with coupons to area retailers, make-and-take kits to complete at participating locations, and more! Just stop by the Chamber of Commerce office at 73 Jefferson Street the morning of Saturday, September 17th, to claim yours. Click here to register. 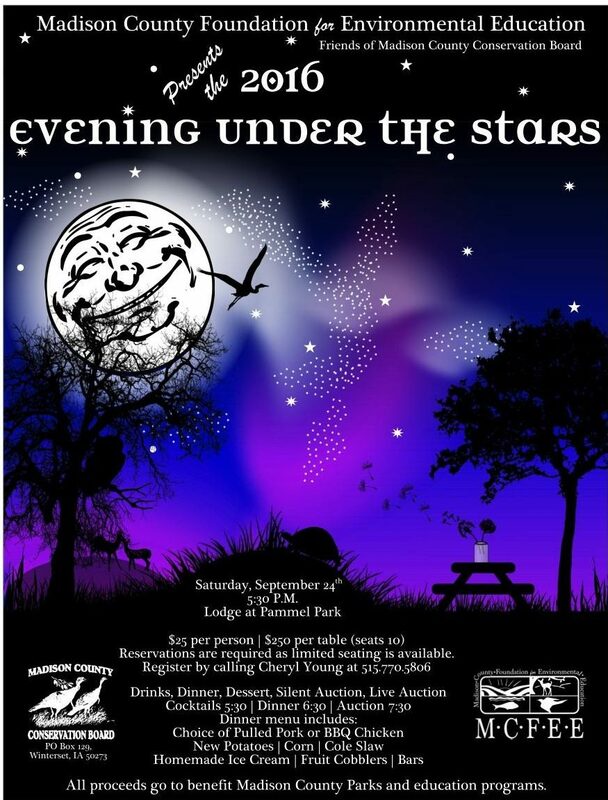 The Madison County Foundation for Environmental Education (MCFEE) invites you to join them for an Evening Under the Stars to help support our beautiful Madison County Parks and the education programs our conservation staff provide. 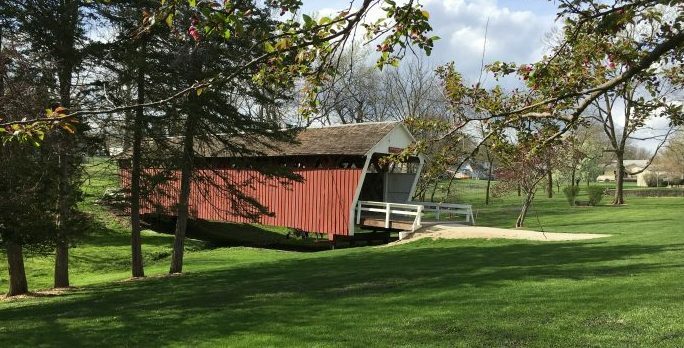 The 47th Annual Covered Bridge Festival is just one month away, and it’s time to get registered for the annual Covered Bridge 4k/8k race in City Park on October 8th. There will also be a children’s race that day, or you can participate as a “Family Team of Two.” Register by September 30th for best price and good luck to all! Here is the link to register online and find more info. Thank you to the Winterset Rotary Club for hosting and organizing this great annual activity. Finally, remember that there is a Debt Service Vote for Winterset Schools on Tuesday, September 13. This will not increase taxes but will authorize the district to use existing tax money in a different way that can’t be done without voter approval. It takes a super majority to pass. Detailed information can be found on the district website. This vote will help the school district reduce the current debt faster so that it can be prepared for anticipated growth in the future. 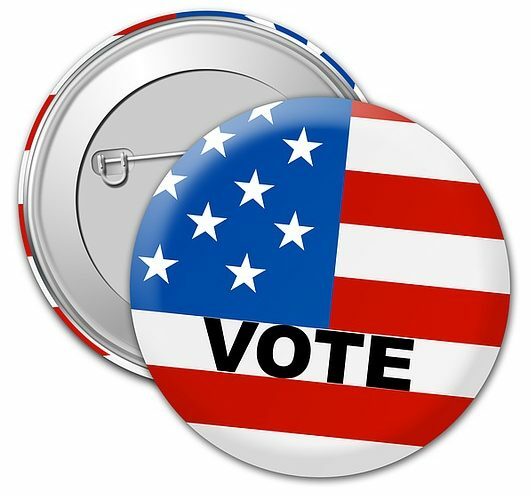 You may absentee vote at the courthouse TODAY (Friday) from 8am to 4:30pm, and Monday from 8am to 5pm. On Tuesday, September 13th, the polls will be open from 7am to 8pm at the Jackson Building — just one voting location. 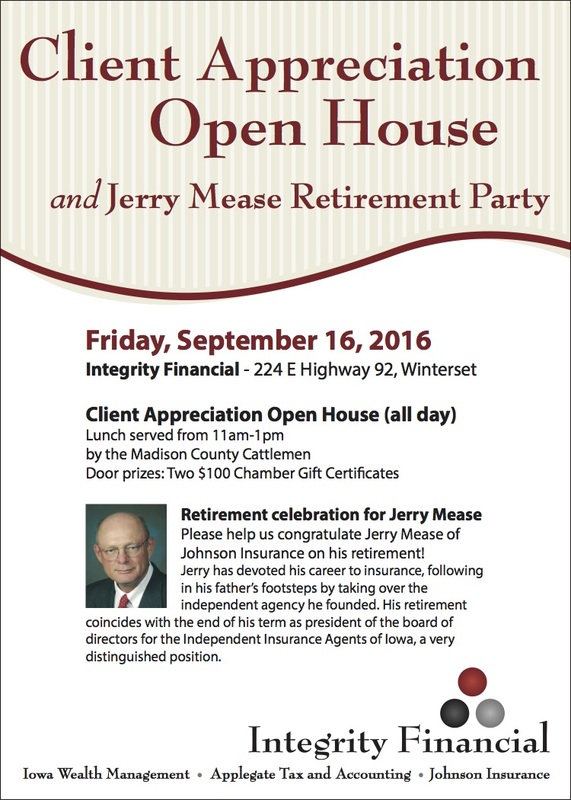 If you have specific questions, do not hesitate to contact Susie Meade or Cammy Leners at the Winterset Administration Office.